On October 26, 2016 Too Big To Ignore took part in Oceana Canada’s science symposium, Rebuilding Abundance: Restoring Canada’s Fisheries for Long-Term Prosperity. The event brought together Canadian and international experts in science, management, policy, law, social equity, economics and First Nations knowledge systems to discuss ways towards achieving sustainable future for Canada’s fish and fisheries. TBTI Project Director Ratana Chuenpagdee and TBTI cluster coordinator Dr. Rashid Sumaila spoke at the event. 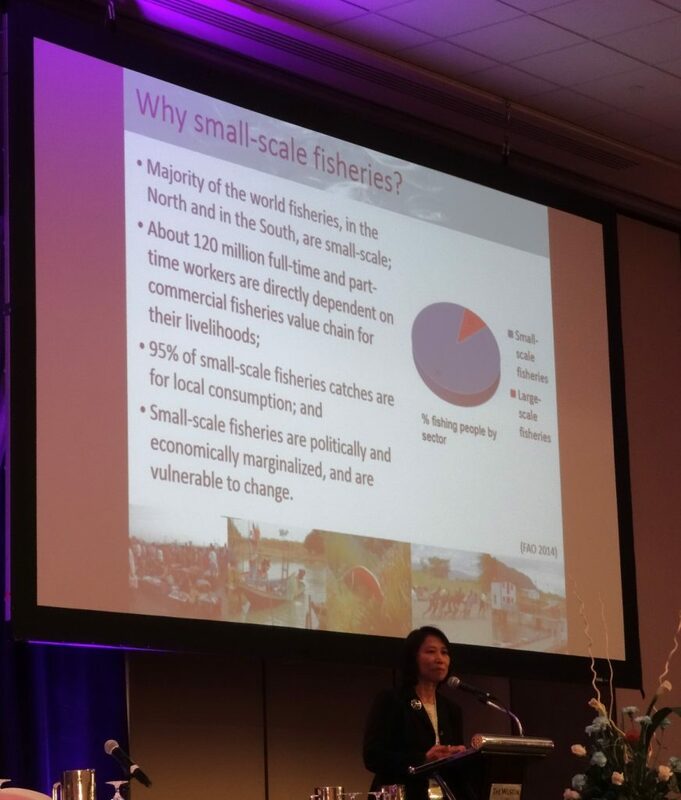 In her talk 'Promoting and revitalizing small-scale fisheries', Dr. Chuenpagdee spoke about the current status of small-scale fisheries in Canada and about enabling conditions for their recovery. Using small-scale fisheries in Newfoundland and Labrador as an example, she discussed the factors and conditions needed for a successful implementation of the SSF Guidelines. To the Dr. Chuenpagdee's presentation in full, click here. 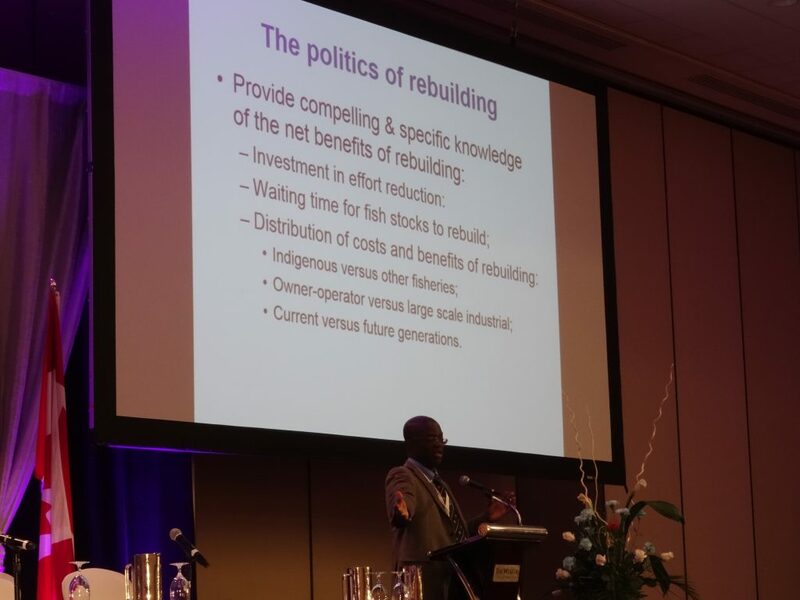 Dr. Sumaila talked about the economic benefits of rebuilding fisheries and, among other things, emphasized the strong connection between the health of our oceans and the viability of our coastal community. Dr. Daniel Pauly, from the TBTI partner organization Sea Around Us, gave a keynote presentation in which he discussed rebuilding of fisheries on a global scale. Some of the main issues addressed at the symposium included the opportunities for recovery and growth of our fisheries; policy changes that can support healthy fisheries and oceans; and reforms needed to increase abundance and ensure the fair and equitable distribution of resources. One of the highlights of the symposium was the announcement from the Honourable Dominic LeBlanc, Minister of Fisheries, Oceans and the Canadian Coast Guard, that his department will soon be releasing key information on the status of Canadian fish stocks and that they plan to invest additional funds to increase science capacity. 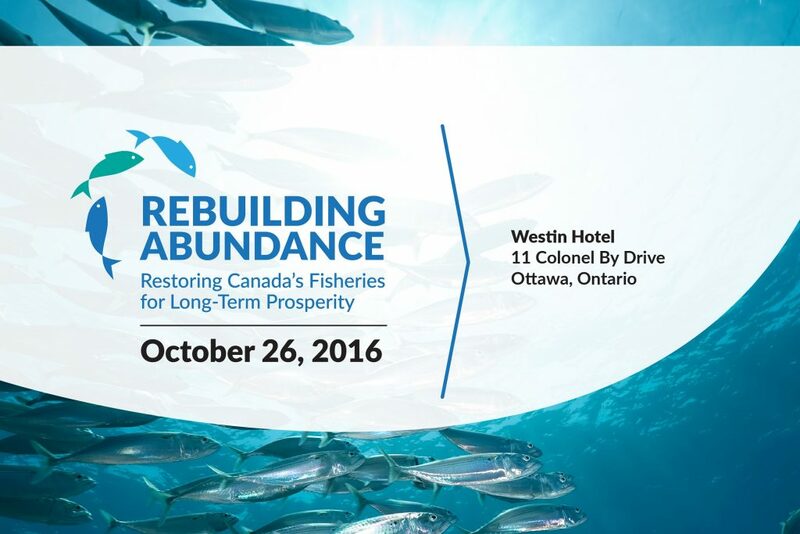 Rebuilding Abundance symposium is one of the activities that Oceans Canada's is doing in their effort to help rebuild Canada's fisheries. For more information about Oceans Canada', click here. 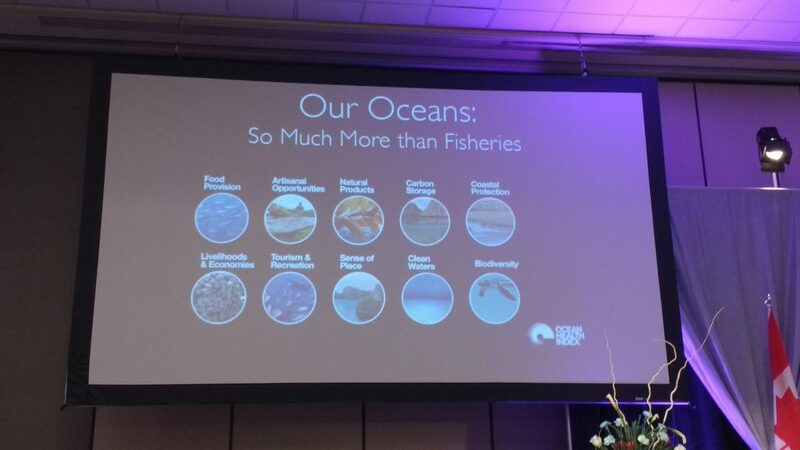 A poignant slide from Dr. Julia K. Baum about the multiple values and benefits we derive from the our oceans.